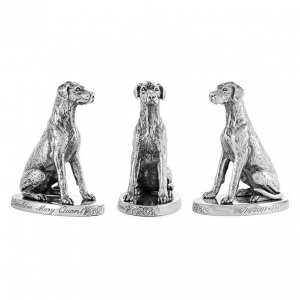 To obtain a silver sculpture is a long and involved process, refined over many years in our workshop to yield exceptional results. To carve the wax, a proper size and shape of block is chosen, and cut to a rough size as needed. Then the design is laid out on the raw wax. Saws, files, rotary tools and gravers are used to carve the wax into a detailed model. The wax model is covered with plaster of Paris and fired. The heat melts the wax, which trickles out through a tiny aperture. All that remains in the plaster is a perfect hollow in which every surface detail of the wax carving is captured. Molten metal is then poured into the plaster mould. Once the metal has cooled, the plaster mould is broken open to reveal the casting. The casting is then cleaned and checked to see that every detail of the original has been faithfully reproduced. Finally, the piece is polished. 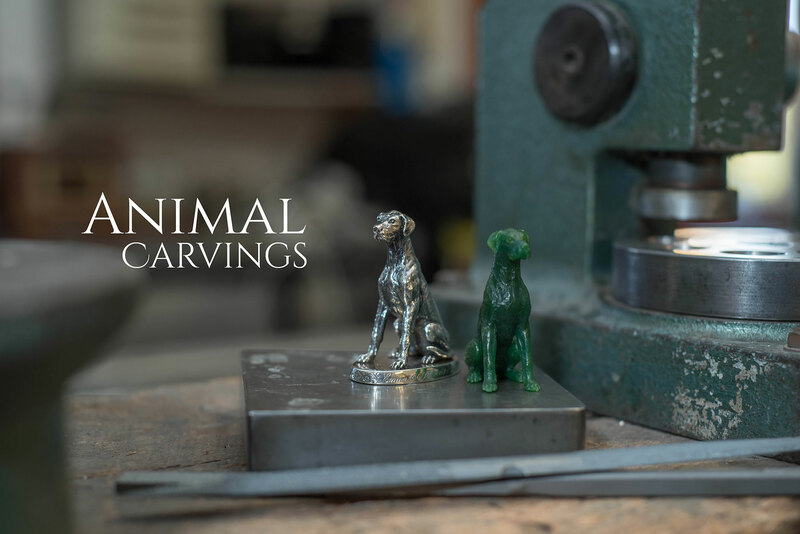 Animal carvings can be used in jewellery, memorabilia of beloved pets, key rings, napkin rings, paper knives and many other objets d’art.